Earlier this month we put the spotlight on Latin America, and asked why only two DJs from the region made the 2014 Top 100 DJs poll, despite the quantity of votes, and quality of nightlife within Latin America. Today we focus on Asia, another underrepresented region, and find a similar story. In fact in 2014 there was not a single Asian-born DJ who made the final 100 DJs. The simple fact of the matter is that the poll is dominated by DJs who are from Europe or the United States. The evidence suggests that it is harder to break through internationally if you are not from these key areas, where the scene has been alive for longer and there is an established network of clubs, artists and labels who are already on the global map. Fortunately, Asia is well represented in the Top 100 Clubs poll, with new and exciting venues popping up everywhere from Seoul to Beijing - so we predict a shift in the American/European bias over the next few years. But who are the DJs who are set to drive this change? Well, in many ways the figurehead is already riding high in the poll. Steve Aoki was born in America, but to a Japanese father. The charismatic Dim Mak boss has created a global brand and is popular in all corners of the world. Despite not being born in Asia, it is one of his biggest markets, and a place for which he has ["a lot of love"]. 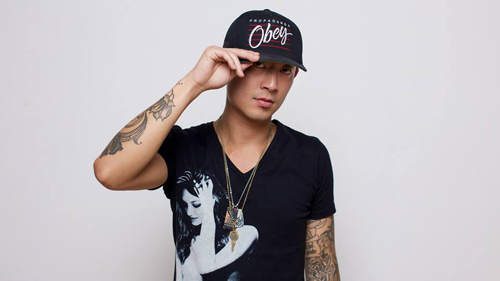 Another artist of Asian decent, now residing in the United States, is trance icon Shogun. The Taiwanese DJ and producer received the accolade of becoming the first Asian artist to be signed to Armin Van Buuren's legendary Armada label. Shogun made it into the Top 100 DJs poll in 2012, but dropped out last year as the global popularity of the trance sound waned slightly in the midst of the EDM explosion. Yet many are predicting a return to the core sounds of trance and house music as audiences tire of the big room onslaught, so he will be hoping to return to the poll in 2015. In our travels across the planet (we have toured in Singapore, Kuala Lumpur, Seoul, Beijing and Tokyo in the last twelve months alone) we are in no doubt that there is immense talent within the region. Resident DJs at clubs like Octagan in Seoul and Zouk in Singapore are second to none. We also saw the raw talent of Bagagee Viphex 13, who was a Miller SoundClash finalist earlier this year. He demonstrated that he could rock one of the world's most high profile dancefloors, when he smashed Marquee Dayclub in Las Vegas.